The one and only time I had previously seen Waitangi was in a passing drive-by. Moana Timoko, a fellow CORE facilitator, showed me what Waitangi looked like under the cover of darkness. We drove past the night before a professional learning event at Te Kura Kaupapa Māori o Kaikohe. I would later find out that we had driven past Te Ti Marae and Tau Rangatira, before approaching the bridge on the other side. When I actually set foot on Waitangi Treaty Grounds, it was for the last whānau hui with Wharehoka Wano before assuming his new role as iwi manager in Taranaki for Te Atiawa. I guess, in some small part, this blog post serves as a tribute to him for his inspiration to me as a contemporary Māori leader who now returns to his community to serve the needs of his people. He will be missed at Tātai Aho Rau — CORE Education. 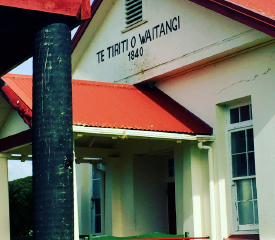 I have written about Pasifika connections with Māori in two previous blog posts — Pasifika in Parihaka and Pasifika’s position in honouring the bi-cultural Te Tiriti partnership. 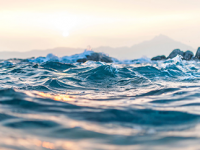 I see this blog post as a culmination of the learning from these previous posts, reflecting on my understandings of Pasifika connections in the context of actually visiting Waitangi in the flesh. As a Pasifika person in Aotearoa, because I am conscious of being staunch in my own Samoan culture, it helps me to understand and value what it means to be Māori in Aotearoa. The events that have unfolded since the signing of Te Tiriti o Waitangi have leaned itself more to Pākeha benefitting from the agreement, whereas Māori have continually tried to regain tino rangatiratanga. 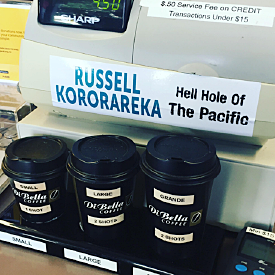 Before we went to Waitangi, a group of us visited Russell Kororareka, ‘the hell hole of the Pacific’ (the catch phrase plastered all over the island) to take note of the settlement. The Māori settlement quickly gained notoriety when prostitution arrived in the area, together with the whaling trade and new settlers. Busby had originally planned to have the town of Victoria built, but these plans were later scrapped when the capital city was moved. 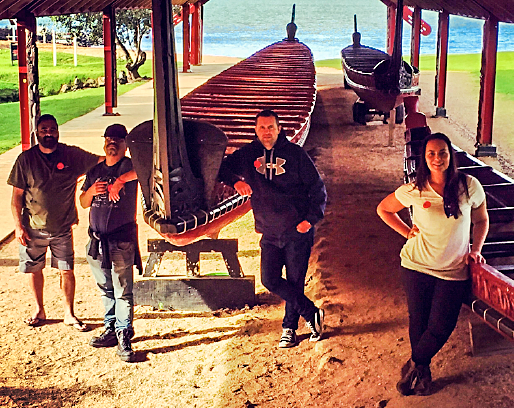 A small group of us visited the Waitangi grounds — Jason Ruakere, Anaru White, Shannon Vulu, and me. 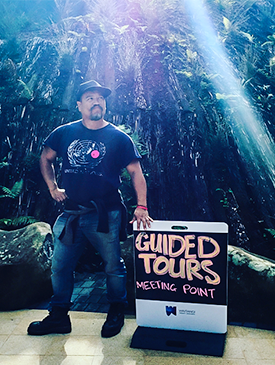 We were fortunate enough to have our very own tour guide in the form of Teanau Tuiono. 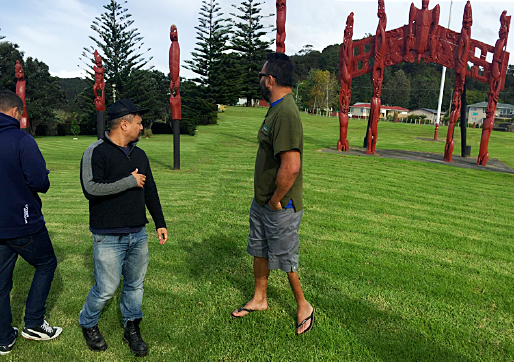 The good thing about having Teanau as a tour guide is that he was able to regale us with tales of what he had learned from his own grandparents in relation to the Treaty and the impact of it on his own people. 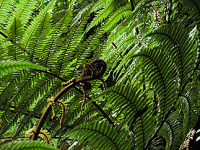 Teanau’s links to Waitangi include Ngāi Takoto, Ngāpuhi with connections to Ngāti Hine and throughout the Tai Tokerau. “When you’re from up North — Waitangi is in your blood”. We stood at the Tau Rangatira where chiefs met every year leading up to the signing of the Declaration of Independence. It struck me how little I had remembered from my 7th Form History class, but from Teanau’s commentary, and what Alex Hotere-Barnes and Angela McGregor had shared at Otiria Marae about the history of the Treaty, it helped to jog my memory, and it was plain to see that what was in the Declaration of Independence should have been used in the crafting of the Treaty. Can we gather that Māori chiefs felt more confident in signing the Māori version of the Treaty, because there were similar sentiments and intentions to honour the Māori way of life? I made this summation based on the high level of understanding that Māori had about the independence document. As I looked at Te Tii Marae, I wondered about all of the political leaders of our country who had arrived at this place for Waitangi Day celebrations. I wondered about how protestors were always given attention by the media to mar the spirit of Waitangi, and what the celebrations were meant to achieve. I also wondered if those political leaders understood the enormity of their position to influence how our nation celebrates, values, and honours the Treaty. 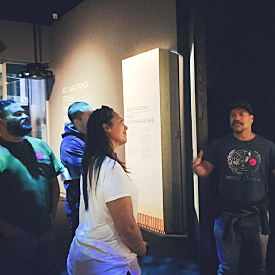 Visiting the Waitangi Museum gave us a chance to explore the history and impact of the Treaty on modern Aotearoa. The various exhibits within the museum gave me a sense of a real attempt to show both sides of the story. Video displays were prevalent throughout the museum, with a documentary approach referring to historical figures who influenced the shaping of our nation. 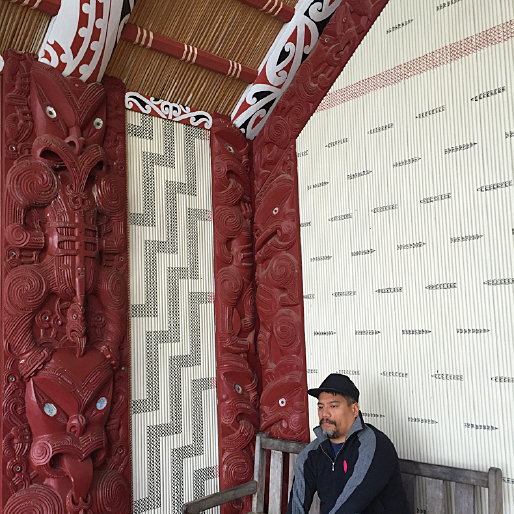 Even our trusty tour guide seemed to ponder the experience we had sitting in the marae. "I wonder what tales the carvings could tell us if they could talk? ", he asked. I wanted to know what advice the carvings would give us about our current situation about race relations and the Treaty. There were a couple of pou in there with their eyes closed. It made me think maybe they were spiritual beings who prayed for everyone's wellbeing. I've only ever felt spiritually moved in another such place for Māori — Parihaka. I appreciated being together with my work colleagues who I see as Māori navigators in their own worlds. I appreciated sitting in silence and letting the spirit of Waitangi wash over us. As we exited the marae, we still lingered around the paepae, looking around and soaking in the surroundings, contemplating the implications of where we stood. It made me think about where we stand today, and where we have moved from this stance. Have we moved in our cultural understanding of each other as a nation since 1840? What vision of nationhood should we uphold? How strong do you stand in all the places you stand? Being in Waitangi made me appreciate why Māori fight for their ways of life, why being tuturu Māori is so important. Because I understand the values instilled in me about my own Samoan culture — it helps me to value Māoritanga and what I can do as a Pacific person in Aotearoa to endorse Te Ao Māori where people forget to see it or do not want to see it at all. Aiono Manu Faaea-Semeatu is a practicing ethnomusicologist and educator. She has been a secondary school teacher in Music, Social Studies, and English. As a member of Komiti Pasifika with PPTA, Manu has been involved in creating submissions and providing consultation feedback for various policy documents such as the Pasifika Education Plan for the Ministry of Education, the Pacific Languages Framework for the Ministry of Pacific Island Affairs and the Pasifika Strategy for the New Zealand Qualifications Authority. She has also provided Pasifika perspectives for the Senior Learning and Teaching guides, in the curriculum areas of Science, Accounting, and Economics with Learning Media. It was a very special moment sitting in that upper marae. I am always attuned to the voices of those who have gone before. Kia ora Manu, talofa lava. One of the things that your post highlights, and that we try to do in the whānau Māori/Pasifika space, is to understand the importance of who we are and where we are from, as Māori. To know the history of our tūpuna, their trials and tribulations, their footsteps left in the sand, is to know ourselves. To understand what has shaped us to be as we are today. It is a common presumption that a person who presents as Māori, also has reo, knowledge, tikanga and kawa. This is not always so. The whānau space within CORE allows us to expand our horizons and understandings of others as well as ourselves. The place of Pasifika people in the Treaty is clearly as Tangata Tiriti – the Māori worldview exists on whakapapa and geneology – Te Moana Nui A-Kiwa holds a special place for Māori, and in Māori thinking. 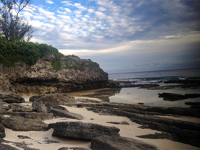 I really appreciate and enjoy reading your musings and reflections post whānau hui. Ngā manaakitanga. I totally agree with the sentiments you have shared. Part of the reason why I have loved the privilege that such an opportunity of attending whānau hui allows me to do, is to be immersed in the tikanga and kawa of each marae we have stayed in, as well as understand what the important issues Māori face in Aotearoa. Speaking of musings. . . a few years ago in November 2013, I wrote a blog post called "Looking beyond the haka – humble musings of a Samoan observer" that attempted to explore the various different and complex layers of what it means to be Māori in Aotearoa. I would love to hear what your thoughts are about this blog post too. At the time I didn't know it, but I was interested in "identity construction and identity formation" which has since evolved in my iterative thinking and it will now form part of the foundation of what I am writing in my PhD thesis about identity politics. Malo Aiono. Maori Culture like Samoan Culture must be respected. And I applaud your interest and reflections. I sincerely hope that the many good works and attempts that have contributed to the renaissance and preservation of Maori Culture will continue in robust ways. They say it well in Rugby- Use it or lose it. 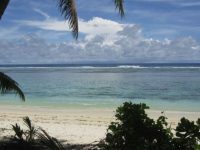 For Samoa they used it with the right Spirit and in service of the Right God. And that helps explains the longevity and world- making capacity of Samoan Culture. Samoa had invested her Culture in the works of God’s Kingdom and I think it is the best and wise way of ensuring future survival. I also encourage all good efforts for maintaining GOOD CULTURE as a way to SLOW DOWN LIFE and CHECK certain Developments that have no respect for People’s Culture and also have no clear future contribution to the maintenance of GOOD CULTURE. Continue the good work and never forget that we need to change some things in order to hold on to those things we believe to be Eternal. God bless your work and remind Our Maori Relations that there was a good reason why they left Samoa all those years ago !!! Danny.